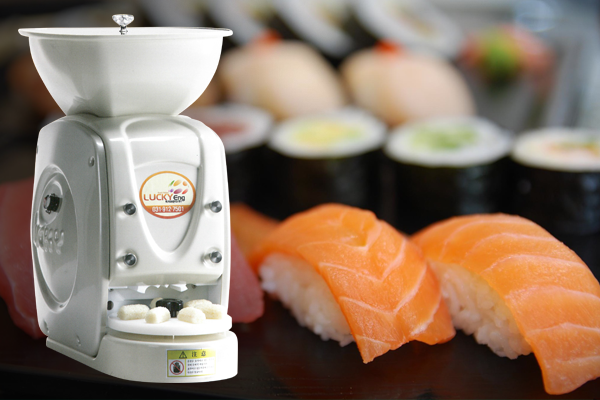 The LS-303 makes sushi evenly and neatly, because the rice does not stick to the hopper while making sushi. The LS-303 is manufactured using highly sanitary and high-quality materials. The LS-303 is constructed using hygienic materials which have low heat conductivity. 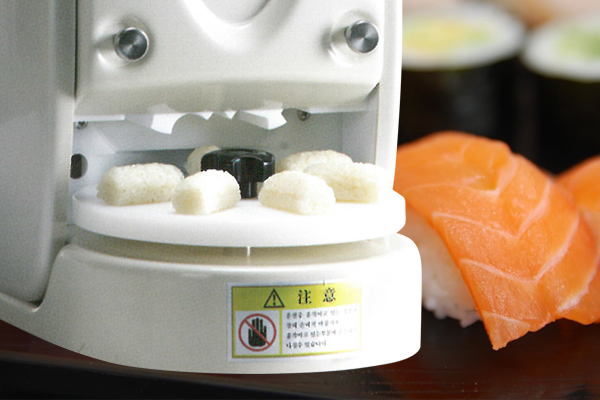 During operation, sushi is automatically put on the troll plate. There is no need to switch the unit on or off during operation. Anyone can use, assemble and disassemble this unit without any tools easily. The LS-303 is also very simple to clean as well.